From farming to landscaping, we have the options to suit any job. With 19 configurations of articulated loaders and 170+ attachments, you can browse the full range of MultiOne loaders. Each model is equipped with articulated steering, meaning the front and rear halves are connected in a way that the machine can move effectively in small spaces. In almost any driving condition, you’ll have four wheel traction. Further, each series from 5 on is equipped with a telescopic boom. Customers often use our loaders for baling hay, clean stables, and prepare soil for crops. But the maneuverability is also great for vineyards, orchards, and feeding animals. 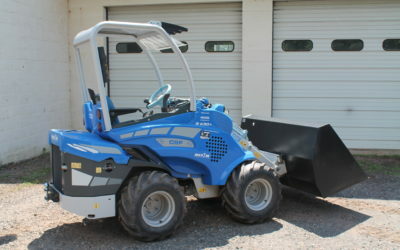 The mini loader design takes the job places traditional loaders can’t go, even in buildings with limited space. 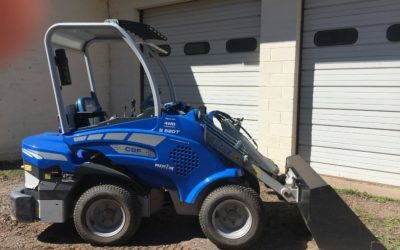 Need to carry heavy items, dig trenches, and clear debris? These articulated loaders have the muscle for the task at hand. Another advantage of MultiOne loaders is their gentle footprint, which is ideal for landscapers.